‘Beshkan Bezan!’ | How to Snap your fingers like a Persian! During my trip to Iran, I flew from Tehran to the fabled city of Shiraz. My happy-go-lucky ameh (paternal aunt) who lives there picked me up at the airport: coiffed, fully made-up; spiffy and snazzy in her leopard-print head scarf and dangerously high heels. After an emotional greeting and the hustle and bustle of getting the luggage we settled inside her car — me in the passenger seat she behind the wheel — when she turned to me and said: “Do you want to go to a party?” Turned out, that night was one of her ‘doreh’ parties with a few hundred (ha ha slight exaggeration) of her closest girlfriends. But back to our story! So … my aunt, with one hand poised on the wheel of the car and one hand about to turn on the ignition, turned to me and said: ‘mikhai berim mehmooni?’ How could I say no to such an offer! So off we went. Barely having set foot on the soil of the magical city of Shiraz, and here I was, being whisked off to a proper Persian party straight off the airport. Ah, the fun turns and twists of life. And here I must take a slight turn from the narration as well to tell you that driving (or being a passenger in a car for that matter) in Iran is not for the weak of heart. I say this without any exaggeration. Driving in Tehran was the worst but the smaller cities were not that much better. Slightly less terrifying, yes, but still, sufficiently terrifying! I’ve got to give kudos to my aunt who deftly maneouvered her stick shift car in the unpredictable traffic with utmost blase concern while continuing our chatter. A glimpse of Ameh. A glimpse of Shiraz. Anyway, back to our story again: we made it to the party and before even getting to the door I could hear Persian dance music blaring at full blast and when the hostess opened the door to greet us I could spy lots of women dancing. It was surreal and fun and I couldn’t help but just be: charmed! And laugh! “Welcome to Iran,” I thought to myself. Now I will definitely write a post later on about Shiraz, and maybe I’ll even write one about ‘gher dadan” and show you how to dance like a Persian. Oh, why not! Persian style of dancing is charming! It is expressive, coquettish, playfully seductive and just … fun to do and fun to watch. ‘Beshkan zadan’ is in the DNA of Iranians! It’s what we do when people are dancing to encourage and egg them on; it’s what we do when fun rhythmic music is played and we’re just feeling it, you know; and sometimes, when we feel particularly exuberant and jolly, we can’t help but snap our fingers to celebrate the good feeling or the good news. Photo courtesy of Maryam jan! Go check it out at the source! Now just as it take practice to learn how to whistle with your fingers (RIP Lauren Bacall) there’s a technique to ‘beshkan zadan’ and snapping your fingers Persian style. Initially, you may find you’re doing what you’re supposed to be doing but no sound comes out. Patience, grasshopper, and practice! 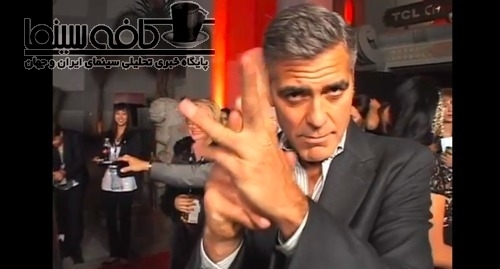 Practice makes perfect and if you keep at it, soon you’ll be able to ‘beshkan bezani” with George Clooney and the best of ’em. There’s just so much one can demonstrate with words, however, and there comes a time when you have to do a show and tell. So with that said, let’s get to these series of YouTube ‘beshkan zadan’ video tutorials. First, we have a short one made by yours truly, yes moi, your faithful dorky blogger, wherein I demonstrate the act and sound of ‘beshkan’ for your viewing pleasure. Please forgive the stylized video. I did it so as to spare your eyes from the horror of my unkempt and exhausted mien. NOT a pretty sight! Now let’s check out a few YouTube beshkan tutorials so that you can start practicing your Persian snap action. I could never beshkan no matter how hard I tried as a kid. As an adult, I still fail. Oddly enough, my Khaleh, beshkan PRO. Love this! I miss writing to you. I bought a Ranch, and I’m writing the Cowgirl version of “Under the Tuscan Sun.” There is a lot of work to do on the Ranch and it both excites me and frightens me at the same time. What fun, I have never been able to beshkan or snap but I love it when it’s done. I have been to Persian parties with the dancing and snapping and it was so much fun. Unfortunately George C never loaded maybe too many people were doing at the same time I’ll try later. 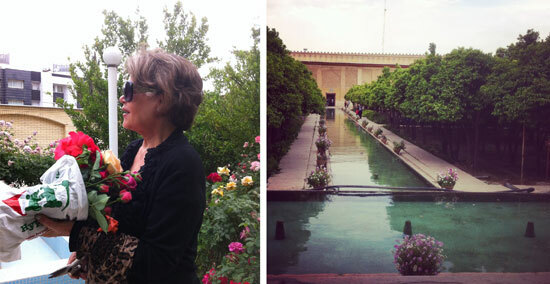 What a great time you had in Shiraz, love your Aunt she looks very stylish and a bit on the avante garde side. Oh cool Suzanne, so you’ve seen the beshkan in action, so to speak, ha ha. My aunt is one cool stylish cat. I never thought of her as avant garde but I think I see what you mean! Azita joon, loved your post as usual. I always wished to do that finger snap, I tried so many times and my (Ex) family would get such a kick out of me trying so hard. Well I guess this is really in your DNA as a Persian. Hoped that I would have that DNA. And yes as Amanda says, your culture really knows how to party and celebrate, love it!!! I did not manage a ‘voilà’! but had fun in trying. What a wonderful aunt. aha, you tried it? love it! practice my dear Maria, practice! I will be happy to give you a private one-on-one beshkan tutorial next we meet, Francesca joon! I do know that about Italians, and personally, I’m a fan of it, (if used sparingly) even though the sophisticated may frown upon it. oh yeah, those kinds of parties are the best. I have stories to tell about this one though … oooh my! Do! 🙂 What kind of tea goes best with a ‘beshkan zadan’ practice session Bonnie? hi there, thank you, same goes for me – there are not that many of us out there though ..
Have a wonderful weekend Azita.